"Suddenly, I'm not half the man I used to be." 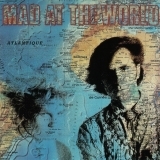 Mad At The World (this album) (1987). Sorry, no matches on eBay for "All The Lonely Sheep Mad At The World".